After a dark manicure and a day of deep cleaning my kitchen, I couldn't wait to redo my nails this evening. I wanted something fun, light, and bright. I spent a good 20-30 minutes looking through my Melmers. I would pick something out, put it back, and move on. Going through ~600 polishes is very time consuming. I finally made it the draw with all the glitters: my favorite drawer! I decided on Nosegay. 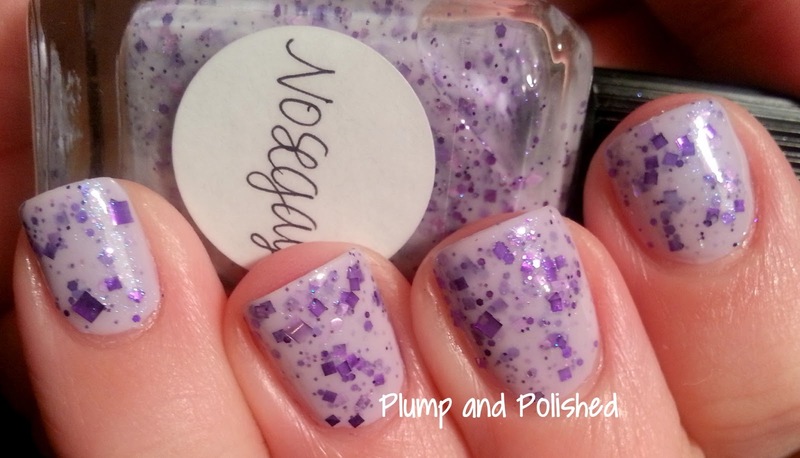 I needed to knock out another untried polish. I really can't express how much I love this polish. I'd say it's easily my favorite Lynn I own. 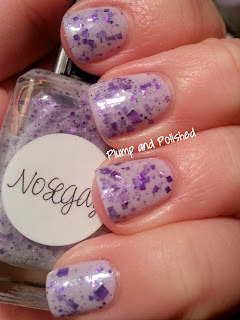 Nosegay is a milky lavender base with a very fine blue and pink shimmer. It's packed with various sizes of light, medium, and dark purple hexes and squares. I used three thin coats. This first coat was a bit sparse for my liking. The second coat would have sufficed, but I really like the look of the buried glitter. The third coat worked like a charm! It added so much dimension to the finished product. 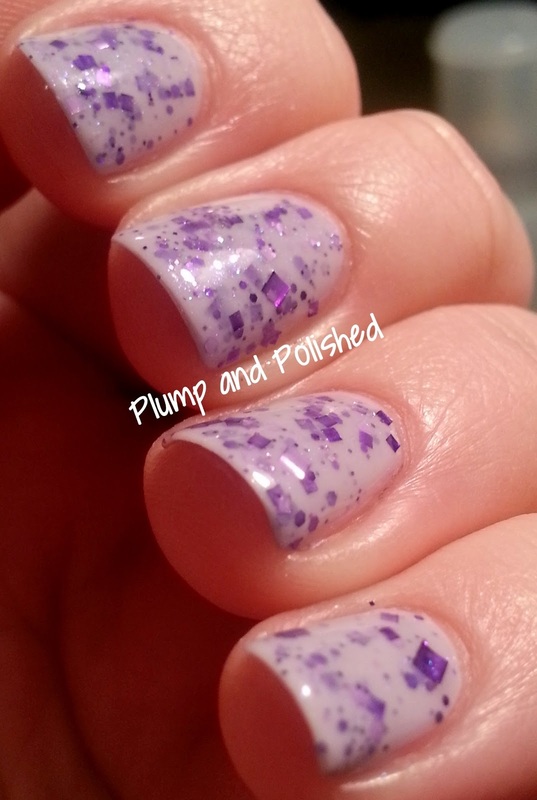 I used one thick coat of Seche Vite to smooth it out. I can't stop looking at my nails. I'm sure this will become a go to for me, and I'm pondering a backup bottle already. 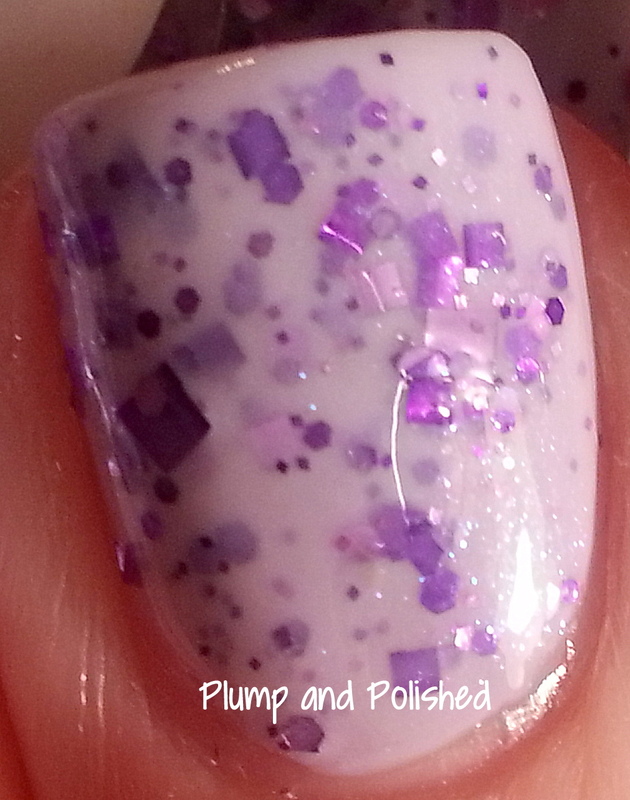 Lynnderella polishes can be purchased on eBay. So pretty! Gah I want a Lynn so BAD!! 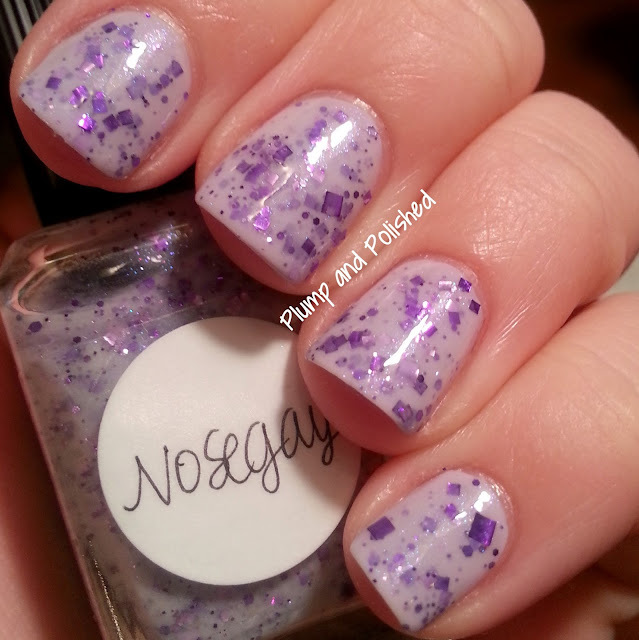 this is so pretty i love chunky glitter nailpolish! looks cute!